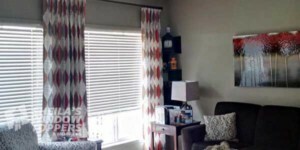 At Sheila’s Window Toppers, we’ve partnered with the design industry’s favorite fabric suppliers to deliver the most fashion-forward fabrics. 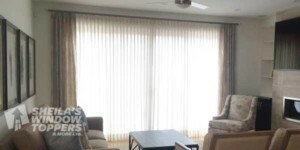 Choose from our large selection of indoor and outdoor fabrics to help create the perfect window treatments, drapery, bench cushions, furniture & more! Select From Thousand’s of Fabrics! Our fabrics have the richness of the patterns, textures and colours that inspire our custom draperies, upholstery and valances with unsurpassed beauty. The Finest Fabrics For Custom Drapery, Valances, Bench Cushions, Furniture, and Pillows! Choose from the area’s largest selection of indoor and outdoor fabrics perfect for pillows, cushions, drapery & more! 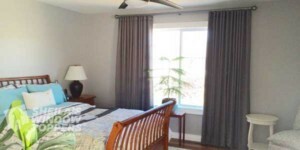 Decorators at Sheila’s in Crowfoot can give your home that designer touch by helping you to co-ordinate custom drapery treatments with fabrics that will compliment your decor. Visit our Showroom! Bring in your ideas. We will help build on them by finding the perfect fabric and style for your Bench Cushion. 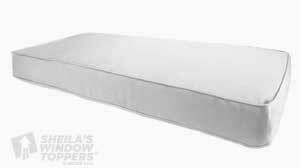 For your bench cushions select from 2″, 3″ or 4″ foam. Graber Artisan Drapery is created with elegant details—double-turned hems, mitered corners, sewn-in liners, and bottom weights to ensure that your drapes hang beautifully. 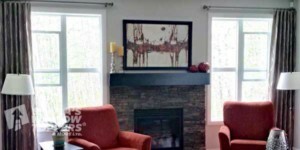 Sheila's Window Toppers is a Certified Hunter Douglas Calgary Showroom Dealer with a large variety of Calgary Window Coverings, Drapery, Shutters, Re-Upholstery and Wallpaper. 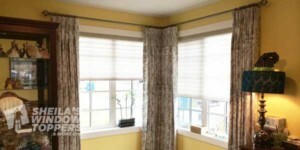 Blinds and drapery fabrics for every budget. 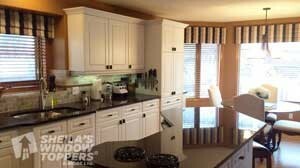 Voted Best Blinds and Shutters Company in Calgary for 2018! Full line of Hunter Douglas Blinds on Display. 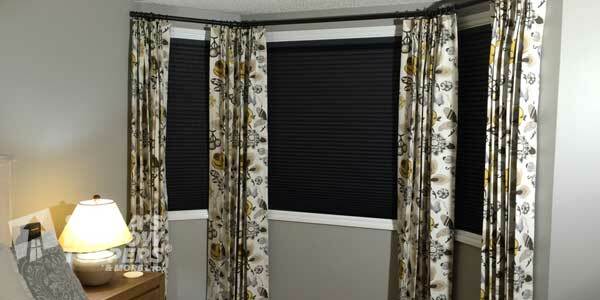 Serving Calgary NW, Airdrie, Cochrane, Chestermere Blinds, Calgary SW, Calgary SE and Surrounding Areas.